They found paradise.…what would they do to keep it? “Lagoon swims and boozy nights turn sinister in [this] atmospheric thriller” (People) about a group of friends whose dream journey around the world on a yacht turns into a chilling nightmare when one of them disappears at sea. Lana and her best friend Kitty leave home looking for freedom—and that’s exactly what they find when they are invited onto The Blue, a fifty-foot yacht making its way from the Philippines to New Zealand. Manned by a young crew of wanderers, The Blue is exactly the escape they are looking for and the two quickly fall under its spell, spending their days exploring remote islands, and their rum-filled nights relaxing on deck beneath the stars. Yet paradise found can just as quickly become lost. Lana and Kitty begin to discover that they aren’t the only ones with secrets they’d rather run from than reveal. And when one of their new friends disappears overboard after an argument with the other crewmembers, the dark secrets that brought each of them aboard start to unravel. 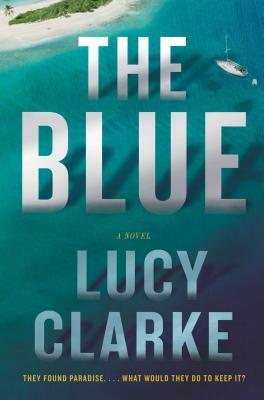 Haunting and infused with spectacular detail, the latest novel by Lucy Clarke—whose writing has been hailed as “breathtaking” (Kirkus Reviews) and “exciting and mysterious” (Library Journal)—is a page-turning thriller filled with adventure, exotic locales, and high stakes. Lucy Clarke is the author of Swimming at Night and A Single Breath. She and her husband, a professional windsurfer, spend their winters traveling and their summers at their home on the south coast of England. Visit Lucy-Clarke.com.